Below you will find a variety of resources available for use during the campaign and throughout the year. 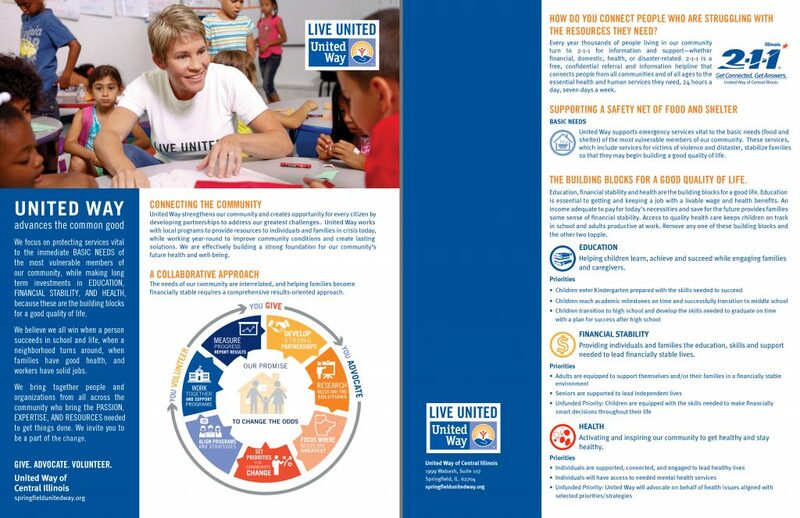 Welcome to the 2018 United Way Marketing Toolkit. 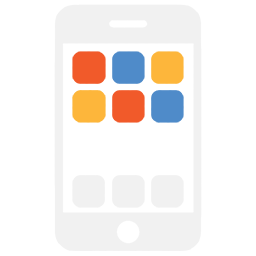 Below you will find a variety of resources available for use during the campaign and throughout the year. 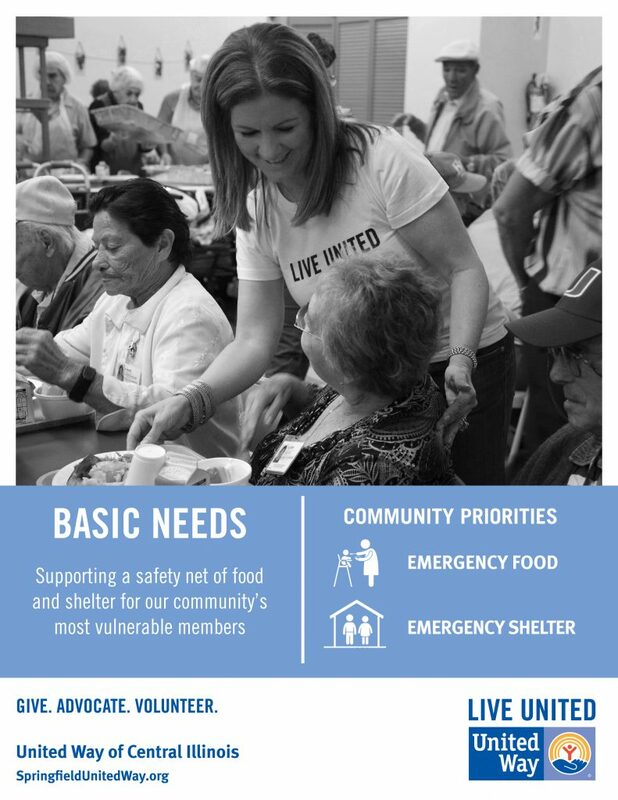 Select documents may be available to order with your campaign supplies, ask your ECC or a United Way staff member for details. The below documents provide basic information about United Way of Central Illinois. 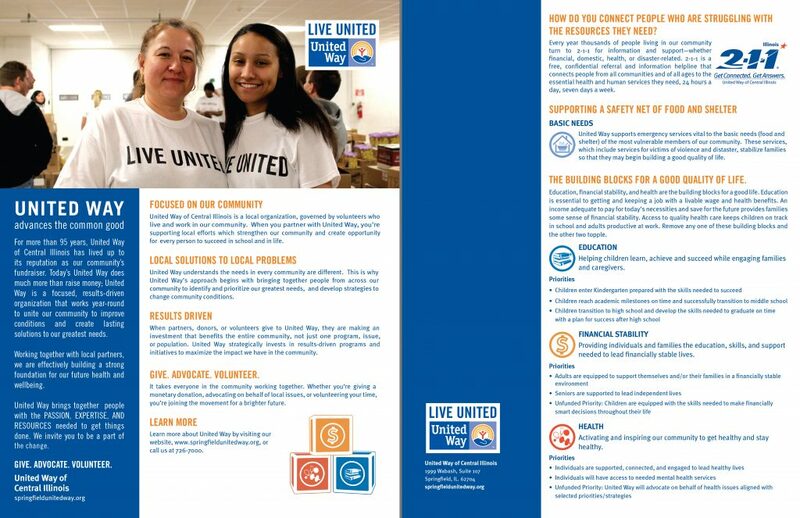 UWCIL’s brochure is updated annually to reflect the organization’s current work in the community. Brochures are available for order. 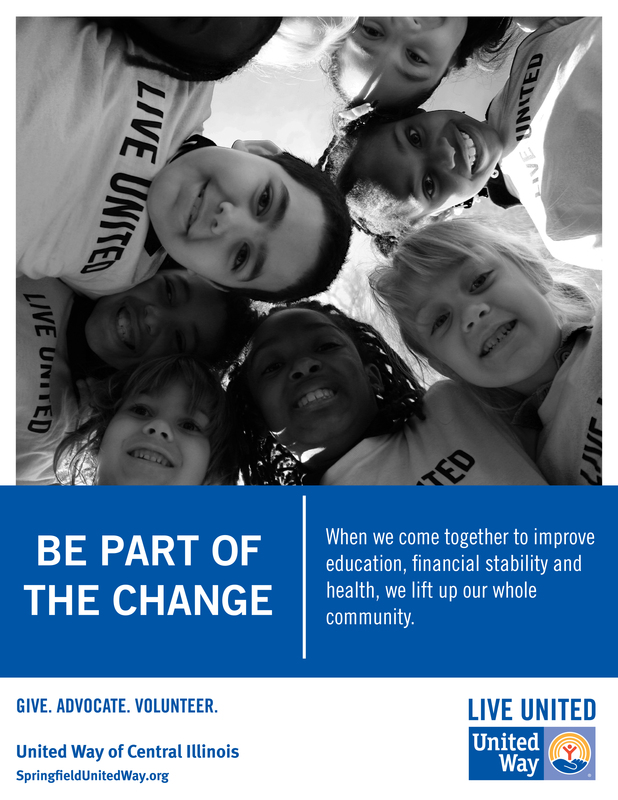 This 4-page booklet shares the results of United Way’s work in each issue area. The community report is a great tool for showing why community fund investments are important. 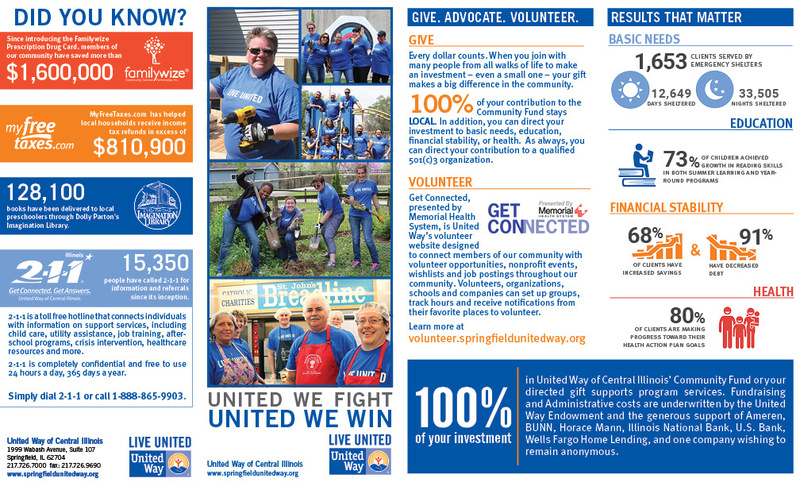 This one page flyer provides an overview of United Way work in our community.  The flyer features an blank sidebar on the back to allow employee campaign coordinators to add photos and testimonials from colleagues. The original Adobe InDesign file is available on request. Please contact Brooke Smith for assistance. 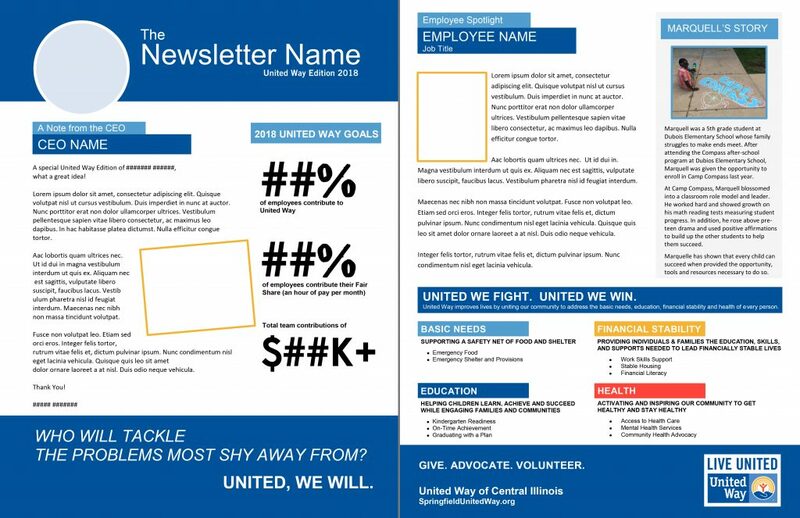 This template is for use by companies who produce a special edition newsletter to coincide with their employee campaign.  This version is designed for a single page newsletter. 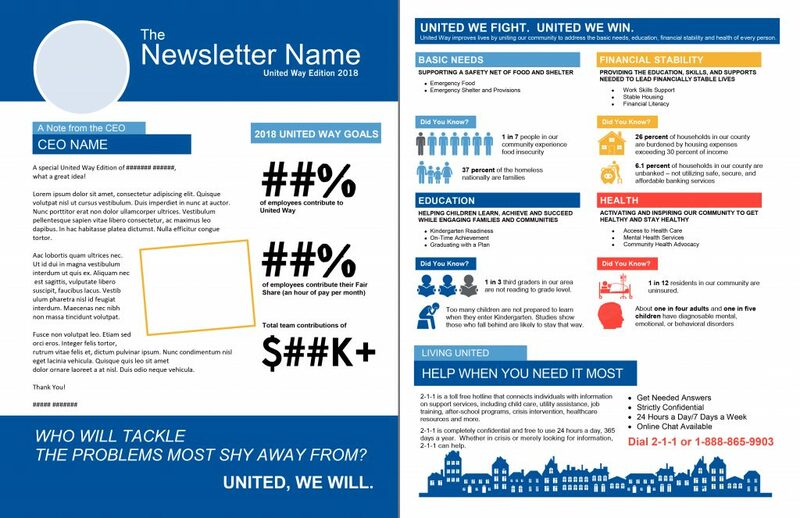 This template is for use by companies who produce a special edition newsletter to coincide with their employee campaign. This version is designed for 2-page or booklet style newsletters. 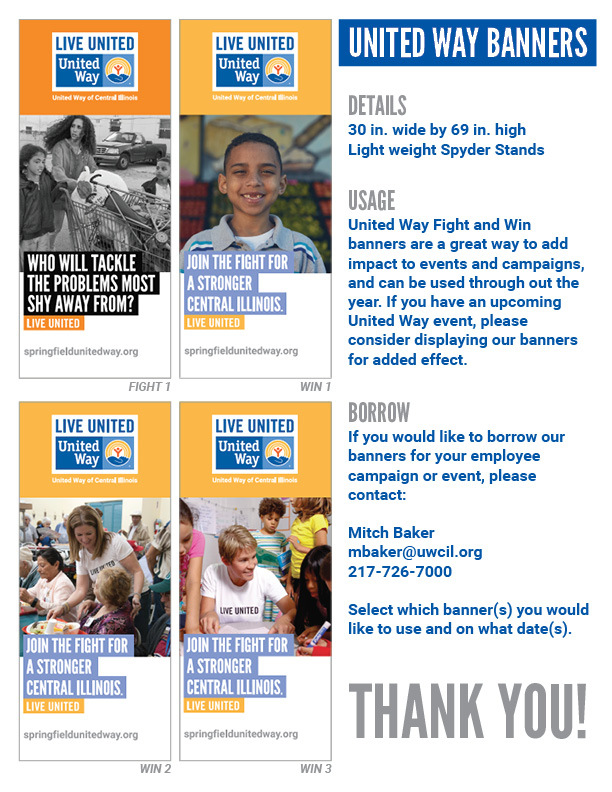 We have 1 Fight banner and 3 Win banners available for usage at any United Way event. This 11″x17″ poster can be used during your company’s employee giving campaign. Copies of the poster may also be ordered with campaign supplies. This 8.5″x11″ flier compares what small, weekly purchases you make to what that money could provide for those in need. 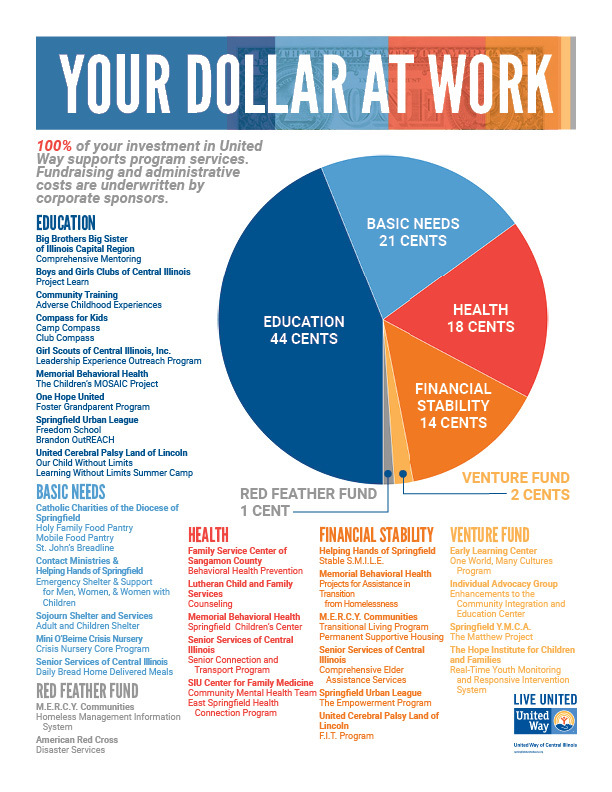 This 8.5″x11″ flier shows what percentage of every dollar donation goes to which issue area. 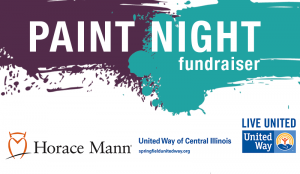 Download sample emails which can be used to encourage participation and increase awareness during your employee giving campaign..
United Way of Central Illinois Logo for use, with approval, by companies running campaigns. Contact UWCIL’s Marketing and Communications Specialist for approval. 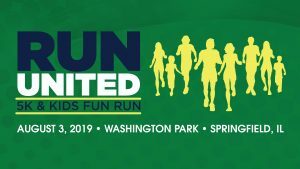 Additional logo formats are available, please contact Brooke Smith. 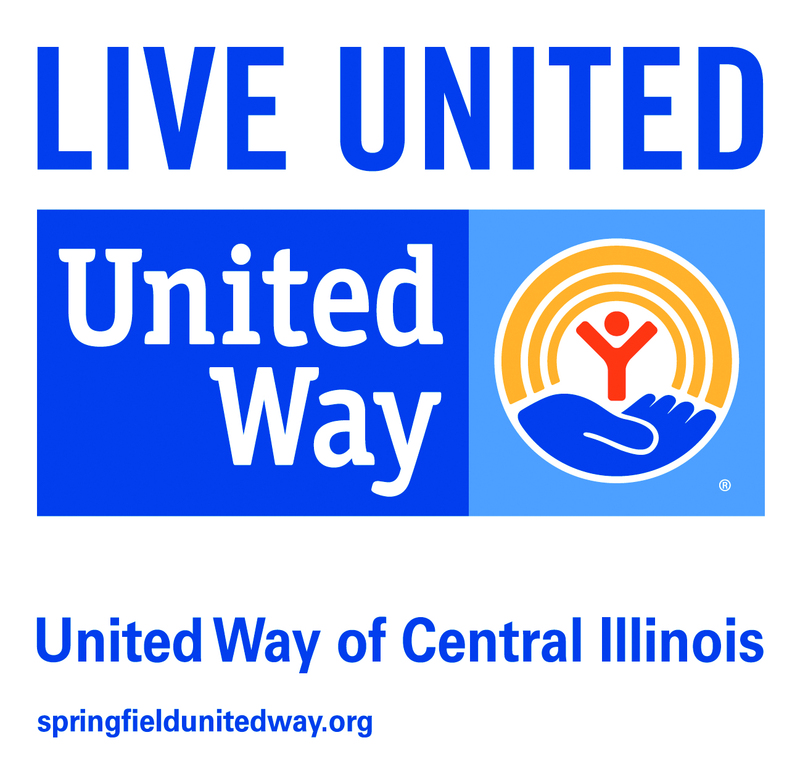 The below documents provide basic information about United Way of Central Illinois’ Community Fund. 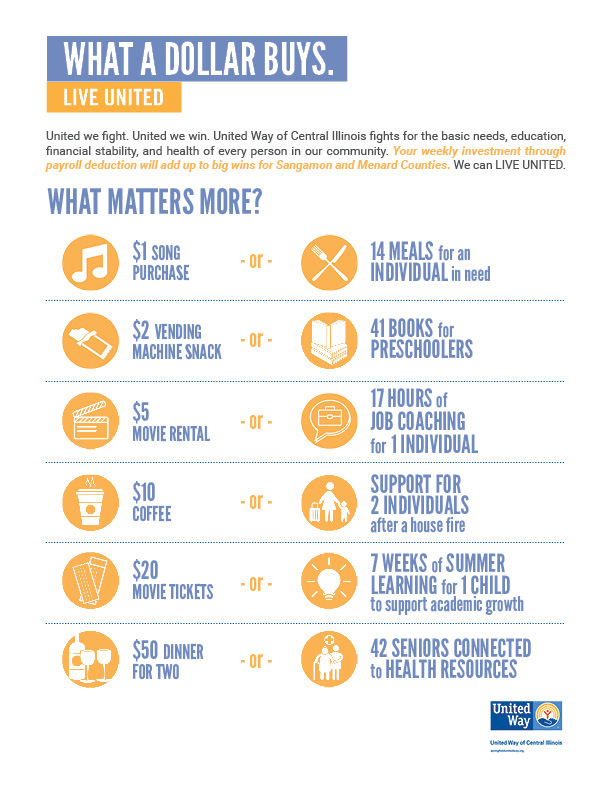 Provides a breakdown of programs United Way invests in through the Community Fund. Provides a brief description of Community Fund investments in the area of Basic Needs. 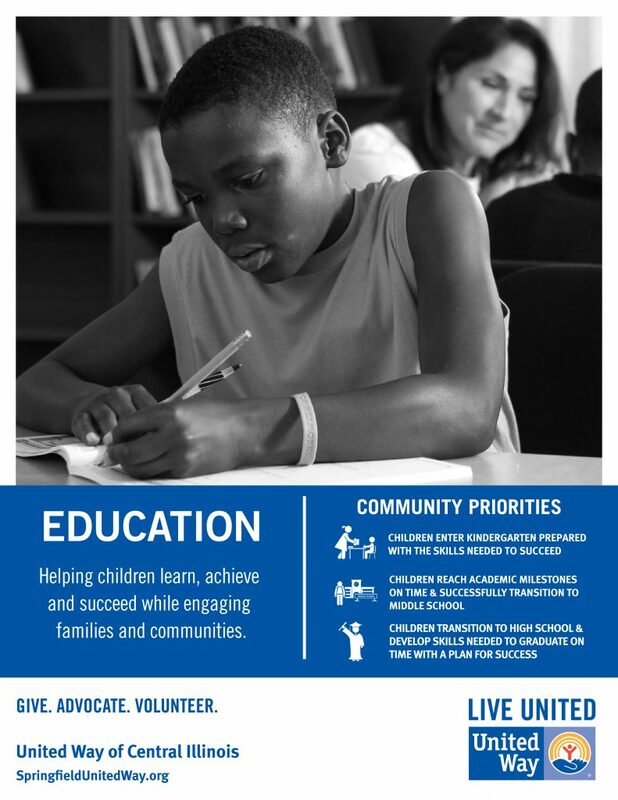 Provides a brief description of Community Fund investments in the area of Education. 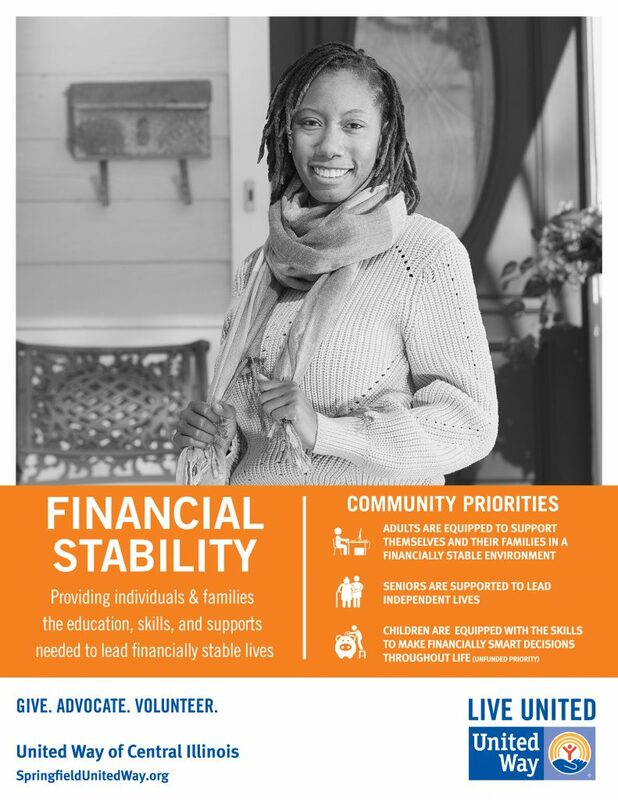 Provides a brief description of Community Fund investments in the area of Financial Stability. 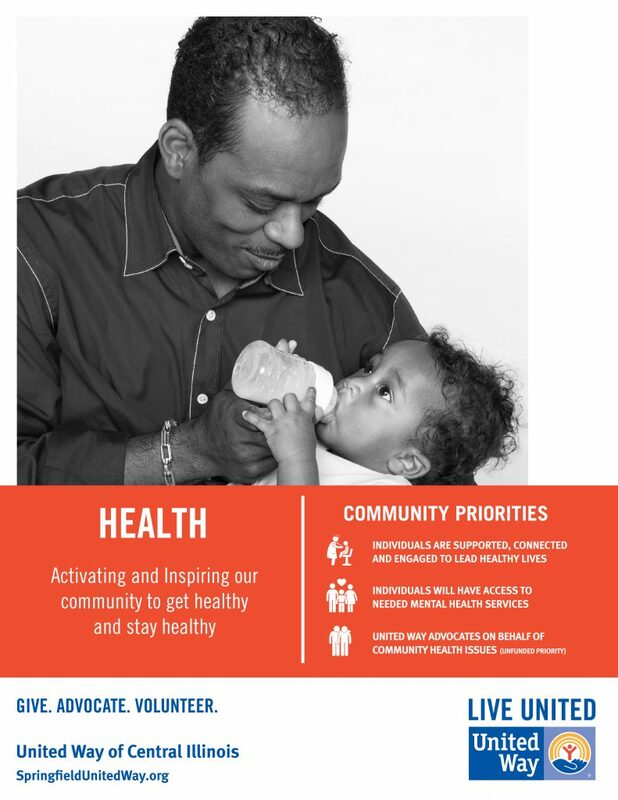 Provides a brief description of Community Fund investments in the area of Health. 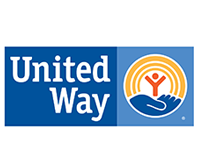 The below materials provide additional information about select United Way Programs. 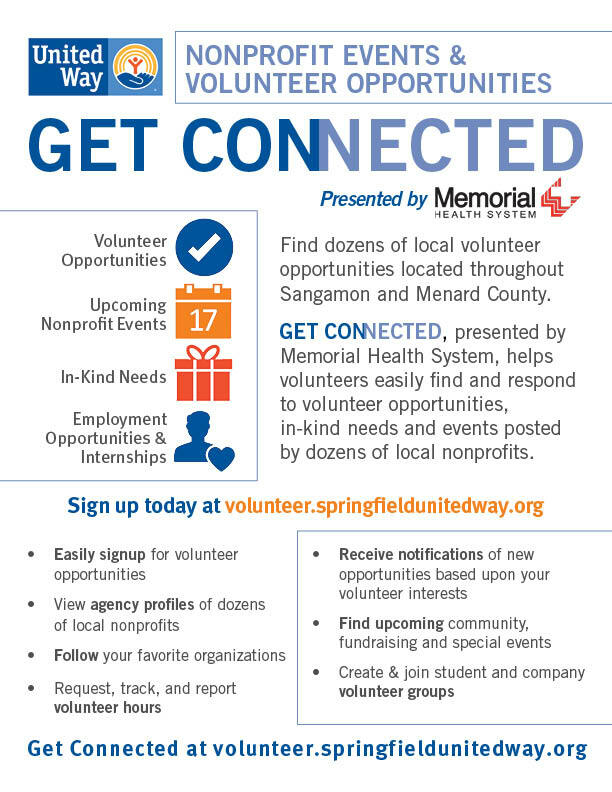 8.5″x11″ flyer to promote United Way’s Get Connected volunteer website. 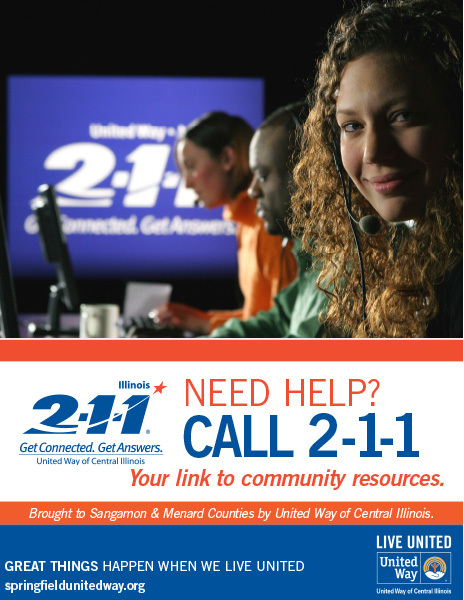 8.5″x11″ flyer promoting United Way’s 2-1-1 service. 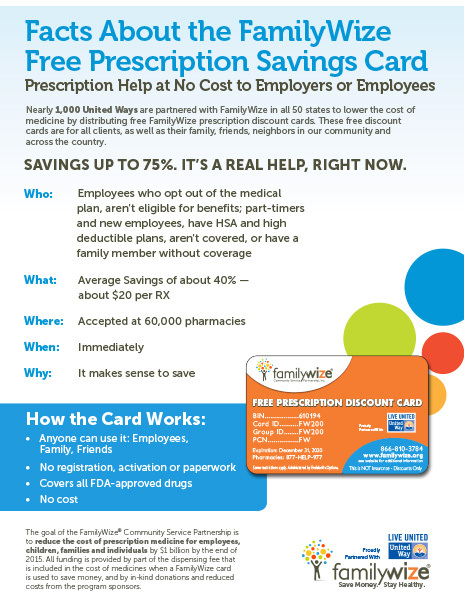 18″x24″ poster promoting the free FamilyWize Prescription Drug Discount Card. 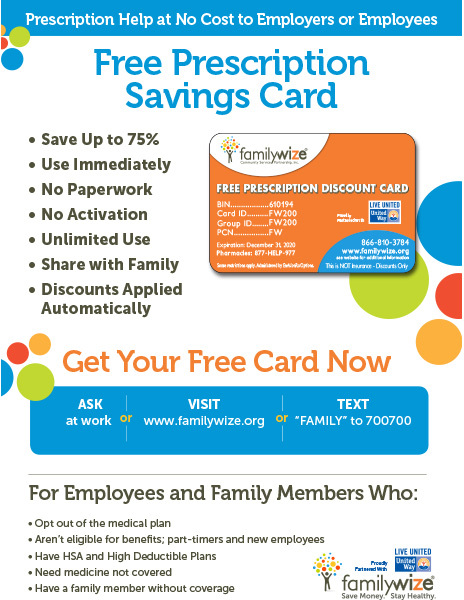 8.5″x11″ flyer promoting the free FamilyWize Prescription Drug Discount Card. The 24″x36″ version is available for companies wishing to print a larger size.